"Many, many thanks to all for an amazingly good Argentina duck hunting trip...."
Ramsey Russell’s GetDucks.com is an ardent supporter and long-time patron of Dallas Safari Club. 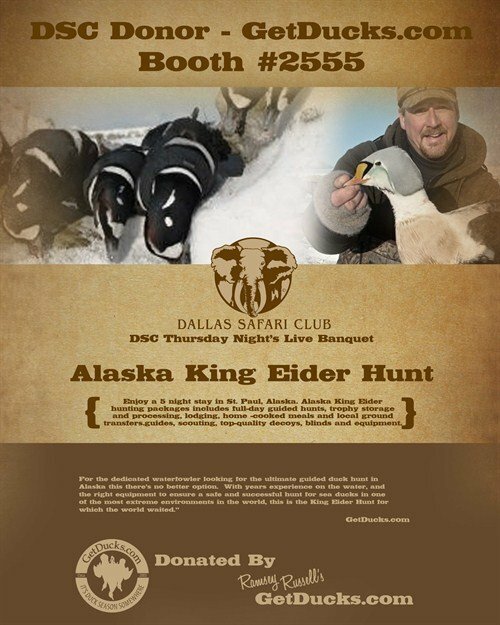 Dallas Safari Club has one of the most beautiful and perfectly organized hunting conventions on earth, and we look forward to visiting with old and new friends there each year. 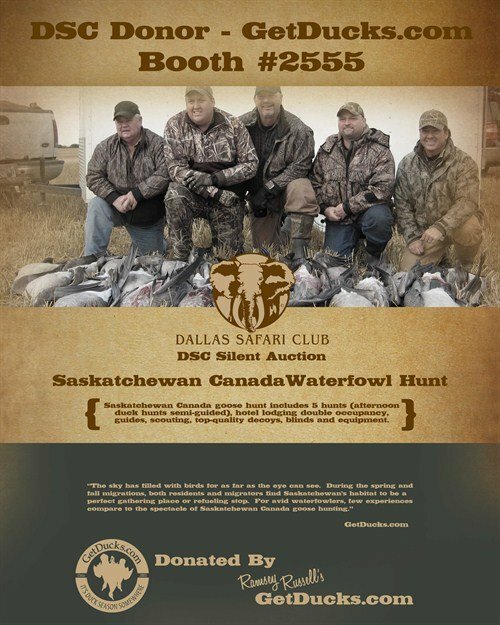 GetDucks.com donates several international trophy bird hunts each year to Dallas Safari Club Convention. They have become popular auction items. 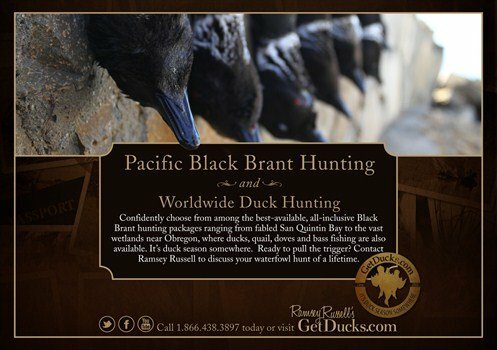 Donated trophy bird hunting adventures donated have included Alaska King Eider, La Paz Argentina duck-dove-pigeon-perdiz-fishing combo, Alaska Pacific Common Eider, South Africa Wingshooting, Canada Waterfowl, and Peru Duck Hunting. Colorful bird taxidermy brings trophy rooms to life. 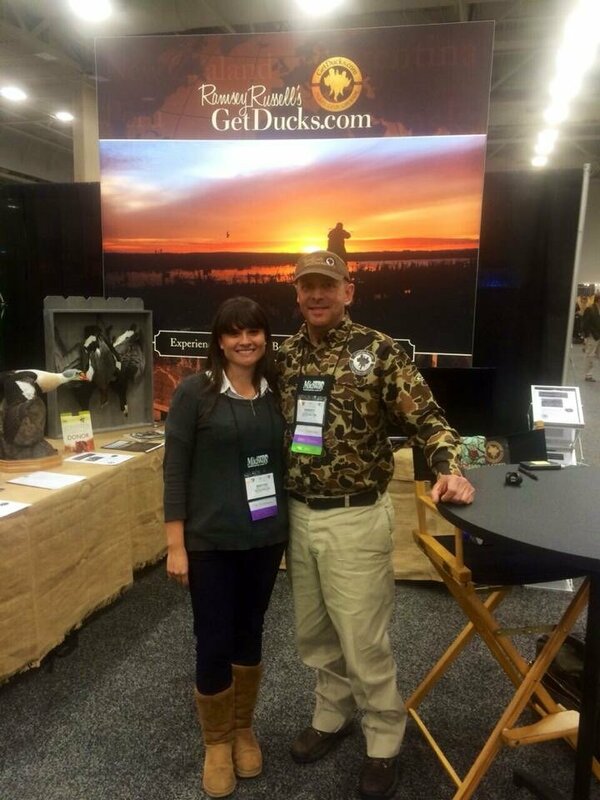 Our friends at DSC recognize GetDucks.com as the foremost experts for trophy duck hunting and the world’s wingshooting adventures. 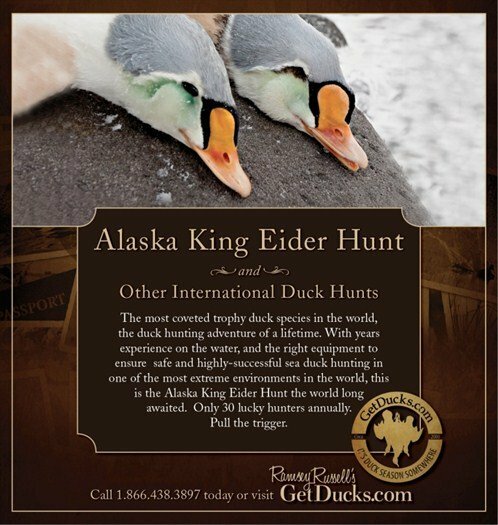 Rare species such as Barnacle Geese, Capercaillie and Black Grouse, King Eider, Pacific Common Eider, Harlequin and much, and fun adventure locations such as Russia, Argentina, Uruguay, New Zealand, South Africa, Alaska and more – it’s duck season somewhere and you never know where Ramsey Russell’s GetDucks.com team will discover next! 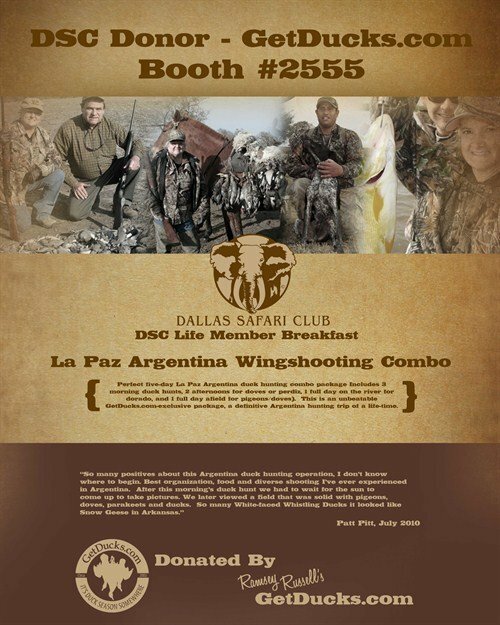 We look forward to meeting you at the upcoming Dallas Safari Club convention.